Everybody is talking about the future Grand Paris but nobody seems quite sure what this label represents. Through its move from Paris to Pantin, could a major advertising agency be pointing the way forward? A mile or so beyond the Paris city limits, unofficially defined by the winding périphérique motorway, stands an imposing concrete and glass edifice. Although softened by the canal that runs alongside, the robust industrial origins of the building remain written large. This structure – the Magasins Généraux - was originally built in the 1930s as a grain warehouse before being taken over by French Customs. It was finally abandoned in the early 1990s. I first wrote about this building in 2012 in an article that was also published on the website of the Guardian newspaper. When the building was eventually purchased for redevelopment, this article caught the eye of the company concerned, who invited me to an event celebrating another era of the building’s existence. 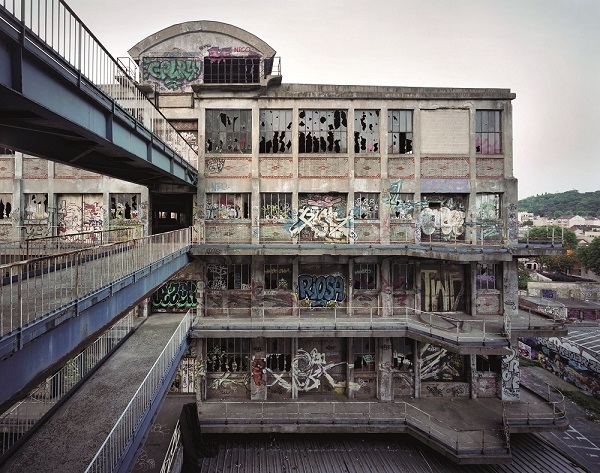 The company was BETC, one of Europe’s largest advertising agencies, who acquired the building when it was little more than a ruin, with almost every square centimetre covered in graffiti. 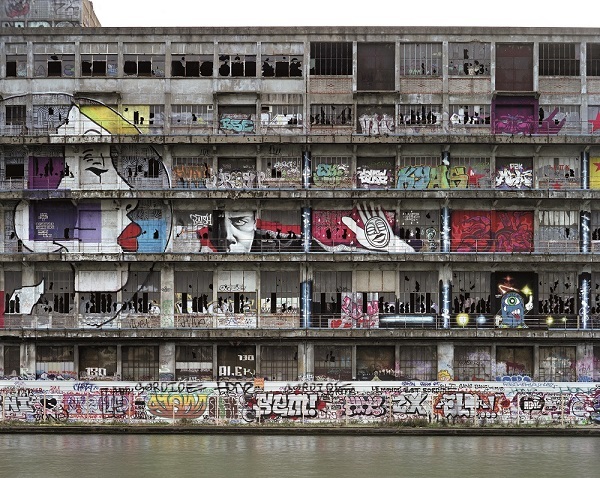 For street artists around Paris it had even come to be known as the ‘graffiti cathedral’, but BETC, allergic to all forms of decoration, did not want to build on this identity. Instead, they worked with the artists to digitally capture the creations on a dedicated website (where visitors could even create their own virtual graffiti), and in a glossy, attractive book. BETC’s project intrigued me, as did the reaction of the artists I met. Were they happy to see their ‘cathedral’ acquired by a Parisian advertising agency, who had promised to wipe clean the walls? “It’s just a building” they told me. “There are plenty of others.” For Rémi Babinet, Founding Chairman of BETC, though it wasn’t simply a building. It was a project that could define the agency. Two years after the launch of the website and book, I’m invited back to the building for the official opening of the BETC offices. 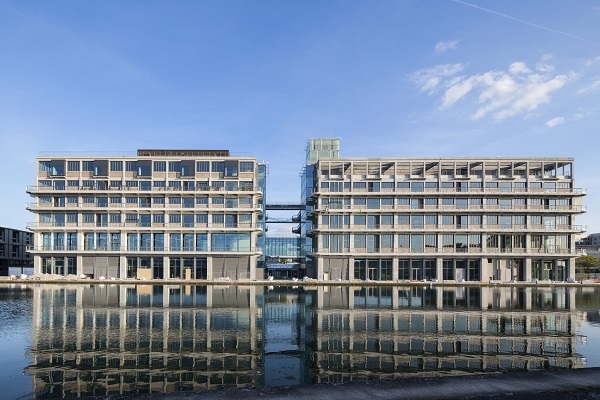 The transformation is spectacular, but its significance in the heart of Pantin, a largely proletarian suburb on the cusp of Paris, seems equally as pronounced. It is a significance that BETC themselves are keen to trumpet. “Forget the cultural Paris of old” declares the first line of the press release for the move. This was not just the arrival of a new corporate HQ, but rather – and slightly pompously - “a community-oriented destination for international creative experimentation.” The biggest boast of all though was that the building represented “the major forerunner of the new Greater Paris.” Politicians still seem undecided about what the contours of ‘Grand Paris’ will be, but an advertising agency had now made a claim for the brand. Based for the last dozen or so years in the 10th arrondissement of Paris, the agency’s move was designed to be something of a culture shock. “We had to move out of the traditional Parisian centre to the vibrant suburbs to find the dynamic energy of a true world city, like New York, London or Shanghai,” continues the press release. A look into the history of the agency though reveals that they previously made an inverse move, relocating from the wealthy western suburb of Levallois to the centre of Paris. So what has changed since the creation of the company in 1994? “Ah yes,” replies Rémi Babinet when I put the question to him. “In Levallois we just blended in with the crowd. We shared an office with other companies and couldn’t create our own identity. We didn't like the neighbourhood at all.” It's a recognition of one of the tricky aspects of the city's expansion - incorporating into a whole so many different identities - but in the 1990s the centre of Paris was still the place to be for a creative company that wanted to build a name. The agency moved to an atypical building on the rue du faubourg Saint Martin near the Gare de l’Est, and one that had its own previous history. During the Nazi occupation of Paris, the offices were used to store and redirect the possessions of the city’s Jewish community, but if this narrative wasn't something BETC wanted to dwell on, neither was it something they simply ignored. The company assisted research into this era and presented an exhibition in 2007 in the building's public showroom, the Passage du Désir. If over the last 20 years the agency “needed to be in the centre of the city, where things happen,” as Babinet points out, there was a growing sentiment that the location was no longer serving its purpose. 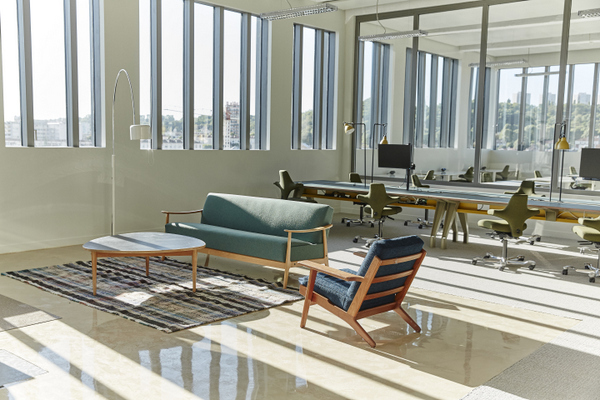 The company’s 900 employees loved the building, and loved being based in the city’s 10th arrondissement, but for Babinet it was a district that was losing its energy. 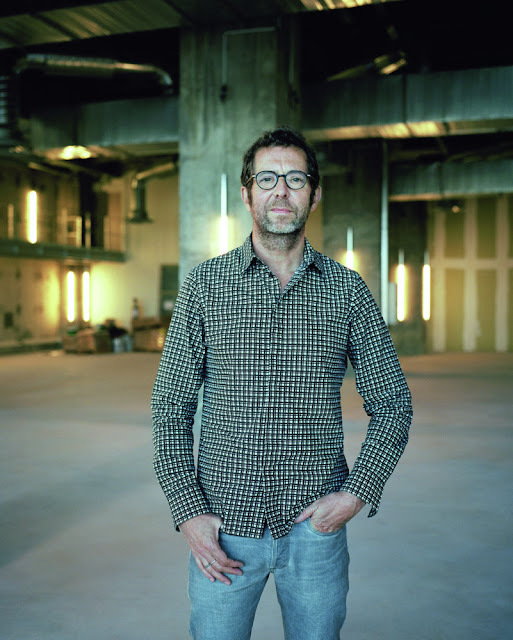 When Rémi Babinet discovered the Magasins Généraux building in Pantin eight years ago, he knew that it would be ideal for the agency. But this was just the beginning of a very complicated process that would involve negotiations with the local authorities, investigations into the health of the building and the eventual buy-in of the company’s staff. Relocating to Pantin was indisputably the right thing for Babinet, but how would his 900 employees react to being moved out of the centre of Paris? As one of the world’s leading Creative Directors, Rémi Babinet clearly knows a thing or two about promotion. The angle for the Magasins Généraux move was ‘Grand Paris’, and being at the forefront of a new dynamic. The building itself was also a draw. Much larger than was strictly necessary, it has been transformed into a vast and inspiring space that not only offers new ways of working but also bucolic rooftop gardens, a gym and soon a canteen complete with table service. The teams began moving in to the new HQ in July, and seem already well-installed. The high ceilings and large windows bathe the immense wall-free platforms in light. Better still, the building is surrounded by 1.4km of balconies, and staff have free access to all zones. I follow Remi Babinet out onto one of the balconies, and we look down the canal towards Paris. “Water will be a major factor in the new Grand Paris,” he explains. Immediately opposite on the other side of the canal is a Chanel office and behind that is the Galerie Thaddaeus Ropac. Further down the canal are the Hermès workshops where some of the company’s luxury products are created, and alongside is a National Centr for Dance. “Just beyond is Paris, La Villette, then the Canal Saint Martin. It’s a continuation,” adds Babinet. Babinet though seems to have artfully avoided mentioning a previous big move out to Pantin in a prime post-industrial building, also just slightly out of sight along the canal. In 2009, a branch of the BNP bank moved from the centre of Paris to the renovated Moulins de Pantin, former industrial mills that provided Paris with flour. Was this not already the first Grand Paris initiative? Inclusivity would therefore be the key word for BETC in Pantin. 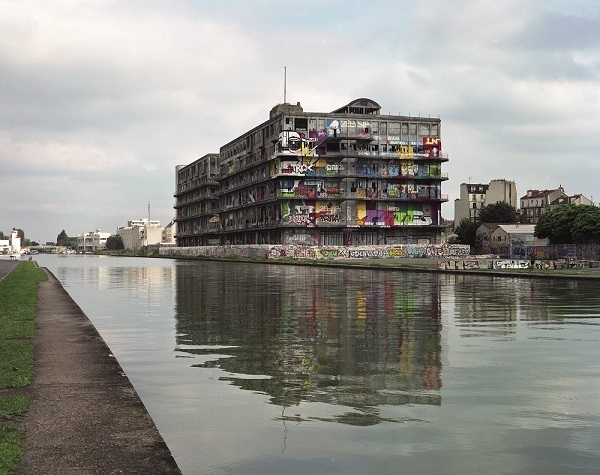 The Magasins Généraux is actually two separate buildings, and the space between them, although part of the fabric of the edifice, is completely open to the public, operating as a kind of street between the centre of Pantin and the canal. The rest of the ground floor will offer similar access to the public, although currently BETC seem quite unsure what to do with the vast volumes they have inherited. There will be events, shows, discussions, a café. Already there is a radio station, broadcasting live on the web, and visitors wandering around the building may find themselves being interviewed for one of the shows. When Paris last expanded its boundaries in 1860 it was little more than an annexation of surrounding towns and villages. Is Babinet’s plan a softer form of this land grab, a simple exportation of a thoroughly Parisian model out into the suburbs? Touchier still, will the 'Brooklynisation' of Pantin inevitably lead to its gentrification, then the pushing out of any social problems further into the more distant suburbs? Rémi Babinet explains that it would have been easier for the company to move to a purpose-built plot in the wealthier southern or western suburbs, as many other companies have done, but it would not have been a positive move for the company, and it certainly wouldn't have helped Pantin. The town is situated in the Seine Saint-Denis department, otherwise known as number 93 (the neuf-trois), and the French region that has youngest population in the Paris region - as well as some of its highest unemployment figures. The town's mayor, Socialist Bertrand Kern, supported the Magasins Généraux project, and has also insisted that social housing is placed in the centre of the new developments currently sprouting alongside the building. The goal is to ensure there remains a healthy mix of populations in the town, but will the same be true at BETC? BETC want the move to be seen as one of the first significant Grand Paris actions, but to what end exactly? The benefits seem clear for the agency. The building and its surroundings will help BETC and its staff to find its “carburant and energy” as Rémi Babinet puts it, but is the agency simply attempting to kill the Paris brand to better position itself as the flag bearer for the new, more creative ‘Grand Paris’ label? BETC must be doing something right though. As I speak to Rémi Babinet he is also getting ready for the building’s official opening. The ribbon was to have been cut by the Minister of Culture, but at the last moment, Prime Minister Manuel Valls has muscled his way in. Politicians only jump on to the best, most successful bandwagons. Babinet of course knows all about rebranding. His agency is responsable for "France is in the air", the latest Air France slogan, as well as the repositioning of other emblematic brands including Ricard, Lacoste and Evian. Somewhat ironically, Rémi Babinet and BETC are also currently involved in Paris's bid campaign for the 2024 Olympics, and indirectly therefore for the promotion of the Paris brand. The implications of this identity are huge. Paris is undoubtedly becoming less and less diverse and more and more uniform, so do creativity and creative industries still have their place in the city? And if this the case, who needs who more today, Paris or its suburbs? Perhaps Grand Paris will resolve this issue by mixing the international resonance of the first with the diversity and dynamism of the second. Despite his jeans, red trainers, three-day stubble and relaxed demeanour, one suspects that there is a hard-headed businessman inside Rémi Babinet. However, it is culture that really drives him. The future Grand Paris and the role of cities may fascinate him, but he will not be at the centre of any technical discussions on regional macroeconomics. Instead, he has been named as a cultural advisor for entity currently working on the new Metro lines and the poles that will develop around the new stations. Rémi Babinet sees the future Paris as a place not with one centre, but with many centres, all built around new multimodal poles. "Pantin will be just one of those centres," he points out, and the Magasins Généraux is just one stone in that new foundation. He hopes it will reflect a new reality, where business, culture, play and leisure can all be effortlessly combined, and where a company can be an integral part of a community. Later, Babinet shows me around the entire building, pointing out the new radio station, the zone that will welcome the company's own record label, and the kitchens that will be open to chefs who want to experiment new creations. BETC's is the invisible hand behind the promotion of identies and brands, the pen that defines the slogan, but Babinet sees its role as being much larger. “We don’t only create the message. We can be the message,” he tells me. Perhaps this is the winning formula for the future Grand Paris. A fascinating insight. Based on what you report, RB comes across well. I like that he is prepared to say 'I don't know how this will turn out'. Having been involved in the move of a beloved national organisation from the centre of the capital to a tinpot town in the provinces I am astounded that he managed to get all his staff on board. Either he handled it brilliantly or he's being disingenuous. It would be interesting to talk to some of the staff. Is he ignoring all those who simply can't make the move? Anyway, I guess we wait and see how many locals start working there in the next decade and who else moves out there and so on. Thanks for your comment Susan. RB was incredibly up front and open about everything, so I don't think he could be disingenuous. That said, when I mention BETC and Pantin around me, I often find I'm talking to people who know someone who works there, and they confirm that it wasn't easy. The important thing here though is that we're not talking about a place way out in the sticks, but a town on the Metro network that's only around 20 minutes from the centre of Paris. It is the psychological barrier - moving outside of the city limits - that is more difficult to overcome.